Oh La La! 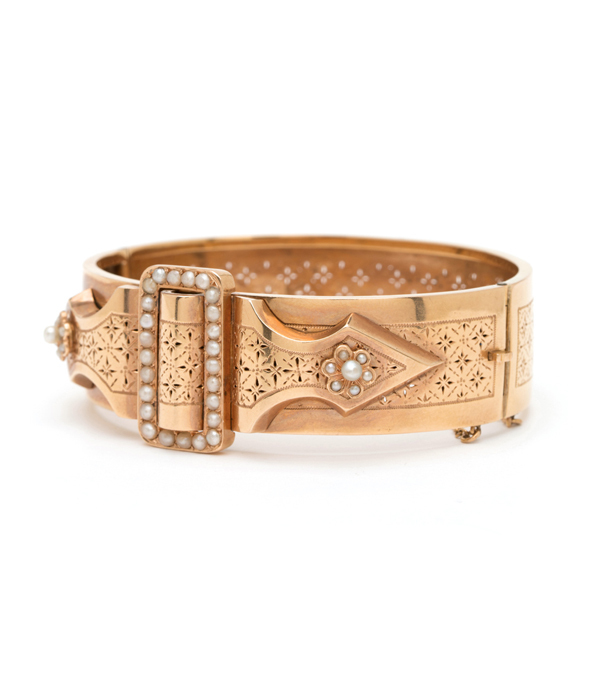 How do we begin to describe how much we love this 18K rose gold and seed pearl French Victorian hinged cuff? A beautiful star shaped pattern perforates the cuff throughout adding interest to this unique bracelet. Cuff hinges open and feautures a security chain. 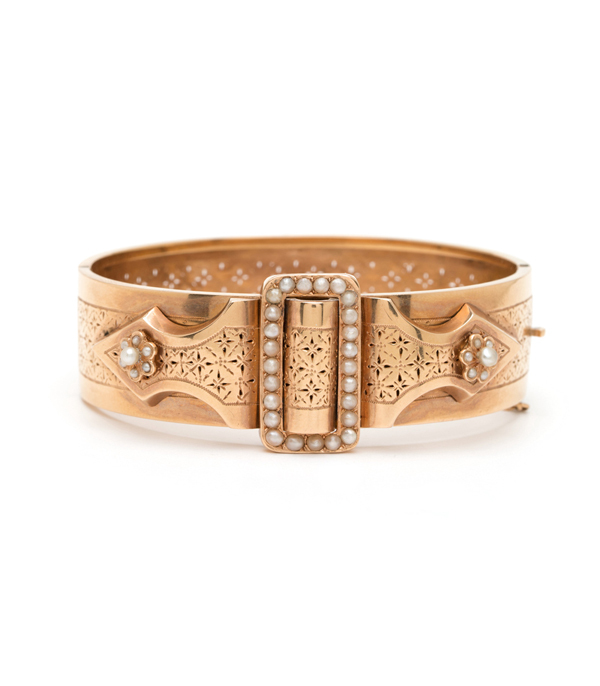 This one-of-a-kind vintage cuff looks amazing any way you wear it: on it’s own, mixed with your favorite bracelets or for the pièce de résistance – paired with our 14K rose gold and pearl Victorian buckle cuff!